SAN FRANCISCO, CA--(Marketwire - Mar 21, 2013) - For tummy tuck procedures, San Francisco Plastic Surgeon Karen Horton, MD spends the first 45 minutes of her consultations getting to know her patients and exploring the reasons why each individual is seeking to improve their abdominal contour. According to a blog on her website entitled Tummy Tuck Overview from Dr. Karen Horton, her aim is to get to know her patients (including their medical history, personal history, hobbies, and professional life) to ensure that a tummy tuck is the patient's best option for their cosmetic and lifestyle goals. When meeting a new patient, Dr. Horton examines the patient's abdominal region and also inspects for hernias, which can be addressed and repaired during a tummy tuck procedure. She assesses for "lipodystrophy," or areas of fatty deposits that contribute to a patient's abdominal contour, evaluating whether these areas might be appropriate for liposuction in addition to an abdominoplasty. Once Dr. Horton determines if a patient is an appropriate candidate for a tummy tuck, she discusses the abdominoplasty procedure in detail, including risks, benefits, potential complications, and realistic outcomes for surgery. In addition, Dr. Horton gives prospective tummy tuck patients the contact information for a few of her prior tummy tuck patients so that they may share their experiences. All prospective patients are invited to visit Dr. Horton again for an additional visit to answer any new questions or to bring a significant other or a close friend into the conversation. Dr. Horton and her San Francisco Plastic Surgery staff also assist patients with any necessary paperwork for employers or insurance companies. After surgery, Dr. Horton sees her patients weekly for the first month to monitor their healing and watch for any potential complications. During the postoperative period, each patient is given Dr. Horton's personal cell phone number for 24-hour-a-day, 7-day-a-week assistance. She continues to follow up with her patients yearly after surgery in order to make sure her patients remain satisfied with their surgical outcomes and to address any new concerns. 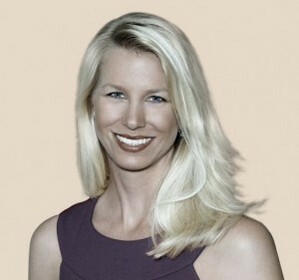 Dr. Karen Horton is a San Francisco board-certified Plastic Surgeon. Specializing in cosmetic and reconstructive surgery for women, she graduated from the University of Toronto before completing a fellowship in reconstructive microsurgery in San Francisco. In addition to the tummy tuck, Dr. Horton offers a wide range of surgical and nonsurgical cosmetic enhancement procedures, including everything from BOTOX® Injections to breast augmentation and liposuction. She is available for interview upon request.